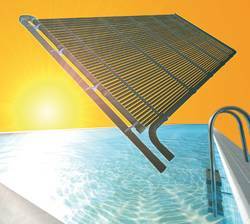 Free heat with the solar-rapid® pool heating. 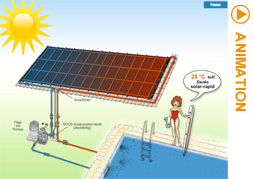 In your own swimming pool: "Warm water, just like the South Seas"
Heating with oil, gas or an electrid heat-pump is expensive. And then, with an electric heat-pump there will also be regular maintenance costs. 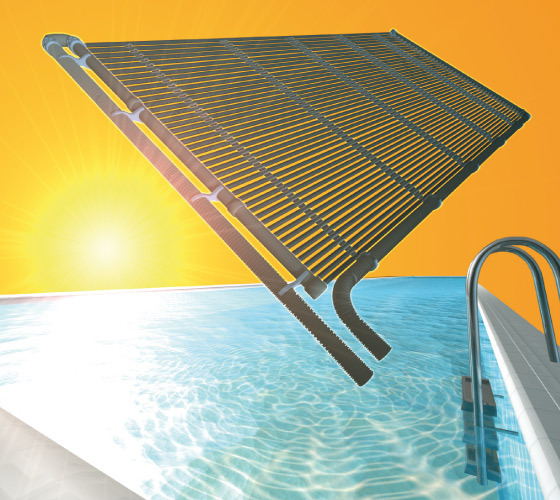 The solar-rapid® collector will deliver free-of-charge solar energy to your swimmingpool for nothing. Assembly on the construction kit principle. The solar-rapid® pool heating system adapts well to the local conditions. It consists of only a few parts, which can be combined. The solar-rapid® collector gives you warmth free-of-charge. Thermal power from all solar-rapid® pipes. The Sun's energy ist converted into heat with an efficiency of up to 91%. Extract solar energy by filtering. Usually a filter pump is equipped in such a way that it can also function as a solar circulation. Thus you don’t need a second pump and electricity. Solar energy strikes the solar-rapid® collector. 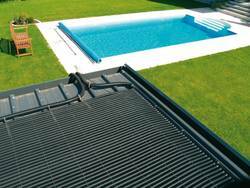 The collector transmits the solar energy to the water, which again flows back to the pool. This process is repeated and makes the water temperatur rise.